We're here to help! Here are all the resources you need to make the most of your social media presence. Browse through some of our case studies, ebooks, videos, visualizations, a ton of tips and tricks, and even a few whitepapers. Learn how you can improve your social strategy. 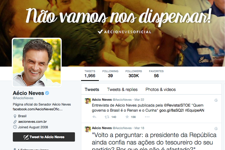 Last fall, Medialogue, a digital agency based in Brazil, was tasked with monitoring social conversation about the 2014 Brazilian Presidential election for the Aécio Neves campaign and supporting the efforts of the Brazilian Social Democracy Party. Medialogue selected TweetReach by Union Metrics to support this effort. The Brazilian 2014 presidential election was a record-breaking event for the country on social media, even compared to the 2010 election. The sheer volume of conversation on social media surpassed all estimates based on the previous national election, generating more than 40 million total tweets. However, by using TweetReach to sort through the noise, Medialogue was able to make informed social media recommendations back to their client. Download our case study to read more about how Medialogue used Union Metrics to measure millions of tweets about the election.